A cofounder of the NSK Prize looks back to the award’s inspired inception and finds, a decade later, a strong tradition of excellence in honoring the best in children’s literature. It all started back in 2000 while I was reading a picture book to my then three-year-old daughter, Tess. A dream to start a children’s book award to honor the geniuses who could transfix my child, settle her down, wake her up from naps, keep her busy in cars, make her laugh, and sometimes make her cry. It was magic and still is to this day. 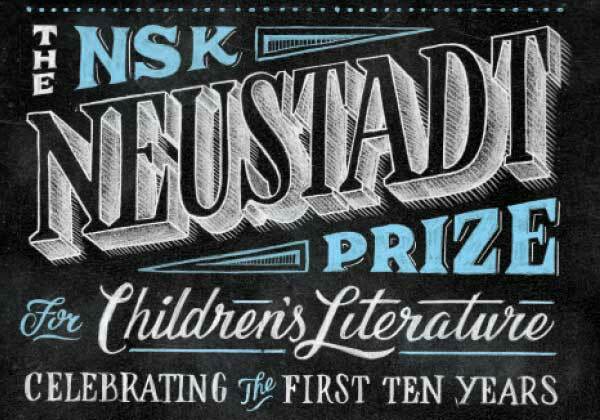 Fast-forward ten years: six amazing authors have been awarded the NSK Neustadt Prize for Children’s Literature. The first one, Mildred Taylor, said, “No award will ever equal the NSK.” Those words from a Newbery award winner and a Coretta Scott King award winner. I sat in that banquet hall where she had just received the NSK Prize and got chills as she sang the song, “Roll of Thunder, Hear My Cry,” the song that inspired the classic novel. A rousing round of applause, a standing ovation, and the foundation for the newest children’s prize had been poured. I never thought it could get better. I was very wrong. The next prize went to Canadian author Brian Doyle. His interaction with students—greatly enhanced by wearing an Oklahoma football jersey—was entertaining, educational, and emotional as he talked about how the characters in his books had to navigate so much, most of it not pleasant, among their own peers. Stories of the adversity they faced, the so-called friends who blocked their paths, who made them walk the gauntlet of adolescence, were retold by Brian with style and wit. Vera B. Williams. What can you say? She brought the fabric from the chair in A Chair for My Mother and draped it over the desk where she signed autographs, answered questions from educators and students, read from her beautiful picture books, told stories of her life, and accepted the NSK award. I describe her as a national treasure. Katherine Paterson. An international treasure. I read Bridge to Terabithia out loud to both of my children when they were young. We all cried at the strength of friendship and the tragedy of how quickly we can lose our loved ones. Her winning the NSK was special to me in two distinct ways. One, she was on the first-ever jury for the prize. She was also nominated that year, but rather than stepping down off the jury so she could remain a nominee, she chose to stay on the jury. She felt her role as a juror, helping to select our first-ever honoree (Mildred Taylor) was more important than potentially winning the prize. Wasn’t that such a classy move by a very classy woman? Second, my daughter, who was ten at the time, spoke in front of more than two hundred people at the awards banquet about how touched she was by Paterson’s book The Great Gilly Hopkins. My dear father, Walter, got tears in his eyes as he saw the fourth generation carrying on the Neustadt literary tradition. It was enormously touching. Next was Virgina Euwer Wolff. She is the first juror whose nominee won the NSK and then won it herself two years later. It just goes to show you that even though there is only one winner, all of the jurors and the nominees are incredibly talented and have won many other honors as well. In 2001 Virginia won the National Book Award for young people’s literature. Her writing is so unique that in the book Make Lemonade, she doesn’t identify the ethnicity of her characters. She says, “I want the characters to be merely human. They are the ethnicity of what the reader needs them to be.” She is an accomplished violinist, too, but I loved the music I heard and saw on her pages when I read her books. And our most recent laureate, Naomi Shihab Nye. I know I just met her last year, but I feel like I have known her my whole life. She is family now. Her strong, powerful voice, literally and figuratively, echoed through the auditorium and the banquet hall as she spoke so eloquently of her life as a Palestinian American. Her prose of her upbringing in America and her time as a young girl in her father’s homeland transfix the reader in describing her journey, which was both hard and beautiful. Her enthusiasm and her positivity are endearing and infectious. She told Contemporary Authors, “Poetry calls us to pause. There is so much to overlook, while the abundance around us continues to shimmer, on its own.” Her poetry makes me pause. Then I breathe in and exhale, so filled by her beautiful words. The NSK Neustadt Prize for Children’s Literature has accomplished so much more than I ever even dreamed when I was reading that book to my daughter so long ago. A wonderful new platform has been created that recognizes the talents and contributions that continue to enhance a child’s experience with books. 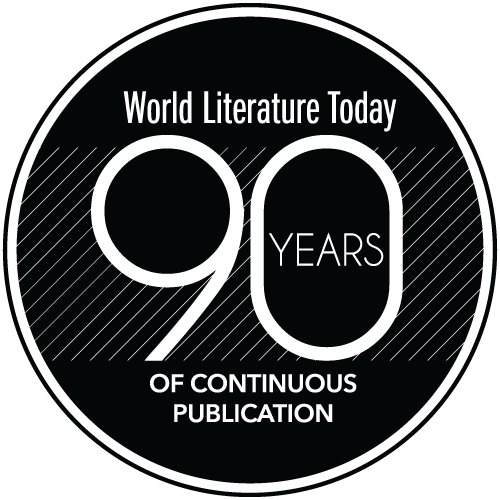 We have honored illustrators and poets, young-adult novelists, and the writers of preschool picture books. Jurors have the honored but unenviable charge to pick a writer who, in their estimation, exemplifies fine writing of children’s books. Thus far, the intense deliberation and thoughtfulness that has gone into picking the winners has been spot-on. I couldn’t be more pleased with the amazing jurors, candidates, and winners. Ten years and six well-deserved winners. That’s a very short time to create what I see becoming the preeminent book award for children’s literature. 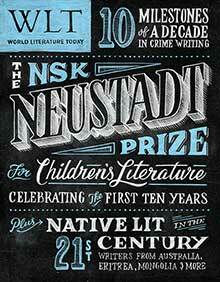 Kathy Neustadt is a cofounder of the NSK Neustadt Prize for Children’s Literature. She works as a freelance field producer for the ABC network for the shows Good Morning America, World News Tonight with Diane Sawyer, and Nightline. She has been with ABC for twenty-five years. She is the past president and current board member of the Robert E. Loup Jewish Community Center and the Mizel Center for Arts and Culture. 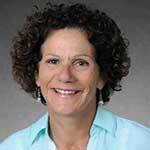 She is on the Jewish Life Committee for Rose Community Foundation and a board member for Facing History and Ourselves, a nationwide curriculum teaching middle and high school students tolerance and how to overcome racial and ethnic discrimination. Kathy lives in Denver with her two children, Tess (sixteen) and Josh (thirteen).